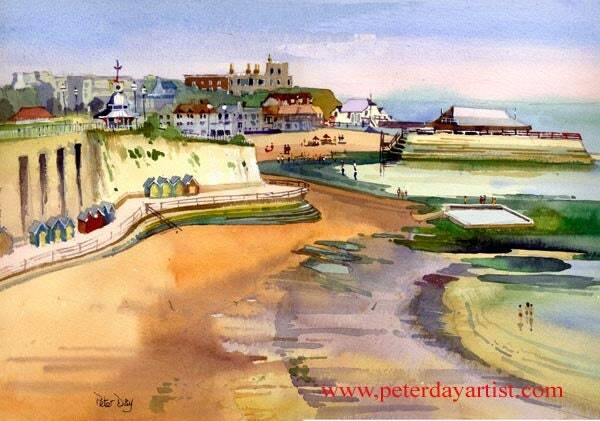 This is the view from the top of the cliffs at Louisa Bay across to the jetty at Viking Bay, Broadstairs, Kent. It was painted on site on August Bank Holiday -Thus the title. Painted on site ( en plein air ) using top quality non fade pigments on heavyweight rag watercolour paper.